"Who better to fix the gun laws than us?" they say. "Everything has to be on the table." The tragedy in Newtown has gun lobbyists turned inside out. They fear for their own children, and neighborhoods and local shops. They do. Their hearts are in their throats. The media are pounding them for answers, sometimes with inane on-air grilling that shows a complete lack of understanding, or worse, total bias against our rights and an abrogation of ethical behavior. Reporters are seething with anger, as are so many politicians, and it's on display. Have you watched Piers Morgan on CNN? Something must be done. The president has called on us to do something. Well who, our nation's gun lobbyists are asking themselves, better to do that than us? Who understands the issues better than we do, they ask? Who knows how to draft good, clean, healthy gun laws that will get the desired results? Are we to sit back sheepishly, and let the haters and the fearful ignorantly plaster the nation with poorly thought out assaults on our safety and our rights, as they have done so often in the past? Do we need another foolhardy waiting period or ammo-tax proposal that does nothing to stop crime -- or worse, unintentionally facilitates it? Will Dianne Feinstein and Charles Schumer come up with another round of bans and Clintonian scolding that does nothing to make people truly safer, infringing on the innocent, just like last time? Or are we to rise up to this challenge, take out our pens and thinking caps now, while there is still time, and begin developing the laws the nation needs to help put an end to these atrocities? The nation is screaming for action. We hear you. We must meet the flood of irrational anti-rights infringements we know will be offered with decent, reasonable, common-sense laws that get the job done properly. The nation cannot afford to be bullied by anti-rights bigots on the march, seeking to assault civil rights in the false name of justice, dancing in the blood of victims as they always do. We cannot allow the slanderous use of the dead to motivate an agenda of hate, degrading rights Americans cherish. We must take the initiative, and the moral high ground, deflect the infringements before they arrive, and let the enemies of freedom struggle uphill against rationale and reason. The president said, "What choice do we have?... Gun laws are a part of this..." Gun lobbyists worth their salt agree with him. He said we need a broader plan too. This makes sense to us. 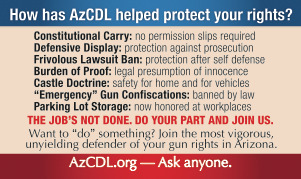 Here in Arizona we're already working on the broader part -- we want to see every citizen trained in gun safety and marksmanship. That scares the ignorant masses but appeals to the knowledgeable. And what better time to start than now. You learn to swim even if you don't have a pool, because water can kill you. The same goes for guns whether you own one yet or not -- and of course guns, like water, can save your life -- a point the media suppresses with cruel regularity. Gun lobbyists know that being gunless is dangerous, a problem that needs serious examination nationwide. Nothing is off the table, especially education. How many schools need to be sacrificed to bring that point home? Now is the time. Well, he's our president, even if we don't always see eye-to-eye. He got 62,611,250 votes, in a country of 315 million. That's a 19.9% mandate. (The other guy got only 59,134,475, or 18.8%, a 1.1% difference, deal with it fellas.) It's time to get cracking. We know the anti-rights side of the Second Amendment struggle will have proposals, and we know their grasp of the subject is so low they need counseling. They make proposals that actually hurt, not help. We cannot allow them to squander precious resources without valid counter proposals to get the job done right. It's time to help. Lobbyists -- get off your duffs. Start your engines, and start doing your jobs. Legislatures open soon. Be ready. Our president asked of us, "Are we prepared to say that such violence visited on our children year after year after year is somehow the price of our freedom?" I say no, we are not prepared for that. It's time to help. Thank you for the encouragement sir. here are some opening suggestions that will help staunch the bleeding. 1. END MAKE-BELIEVE GUN-FREE ZONES NOW. Thanks to the anonymous person who circulated this graphic. The public (first responders) should be just as ready to react as the police (second responders). They should be as well equipped as the second responders. Parity with police. 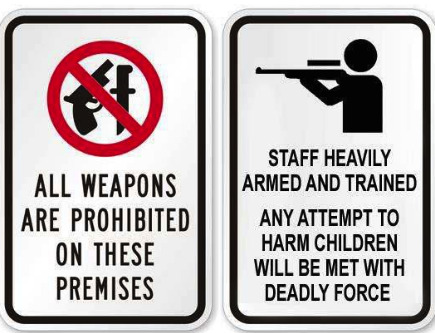 "If you make a so-called gun-free zone by hanging signs you are liable for any harm it causes." Read more and get draft language here. It's time to help. 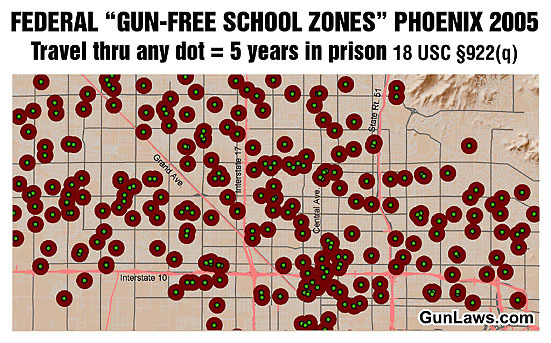 The well-intentioned but unenforceable feel-good do-nothing Clinton-era gun-free-school-zones act has not been used because it cannot be used, and was never expected to be used. Even known perpetrators are not charged under this feckless silliness. All it does is serve to confuse the legally armed public with huge zones of pseudo liability right outside your homes and along your roads. It must be brought to an end. It creates tens of millions of artificial "offenses" a day with absolutely no legal, law enforcement or crime prevention benefit to society. The public knows it. Law enforcement knows it. The Justice Dept. knows it. The media is blissfully unaware of it. Gun haters and hoplophobes can't let it go. They must. Nothing is off the table. Repeal this foolish law. Show some moral courage. Bend. It's time to help. 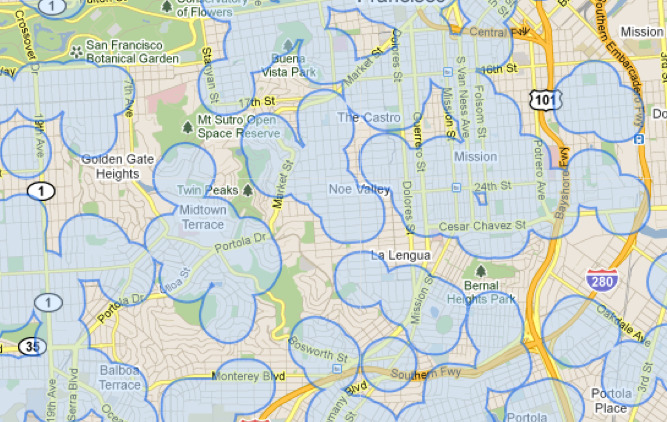 See the maps and get the elegant and simple draft legislation here. The carefully crafted draft bill leaves schools alone but eliminates the worthless zones. It's time to help. "The National Teacher and Student Safety Enabling Act"
We trust our children to the nation's teachers. We expect our nation's teachers to be intelligent, competent, educated, trustworthy, capable, and capable of being trained. Who better to have some modicum of self-defense training and ability than the people who have our kids under their wings all day long? When Joe and Sally Q. 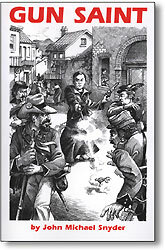 Public can take a short class and qualify for armed defense of themselves, surely the same can be said for teachers, school administrators, principals, educators, even janitors and auxiliary staff. Aren't our public school teachers at least as capable as the public? Get the federal roadblocks and teachers union "organizers" out of the way and help get our kids some protection right away. It is irresponsible and negligent to leave them utterly defenseless. You teachers, listen up -- the great civil-rights hero Malcolm X described it perfectly in 1964 when he said: "It is criminal to teach a man not to defend himself when he is the constant victim of brutal attacks." 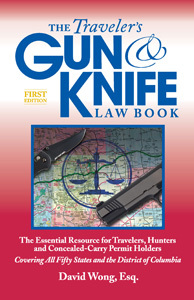 A person with a court order of protection can be safely armed almost immediately. Order the protection now. Lobbyists know this. Know you do too. There is no time for delay. It's time to help. Get cans of 20-foot wasp spray for every classroom. $2 each at Home Depot, Lowe's, Ace, any local hardware store. No paperwork. No admin. No waiting. Don't ask don't tell. Use pocket change. Get some for home use too. Act now. 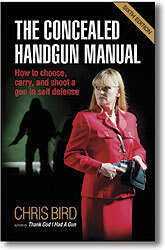 More personal safety ideas: https://www.gunlaws.com. (P.S. Please, do not let this change in mindset shortstop the needed change in preparation (i.e., you don't bring a knife to a gunfight). Right now schools are a black hole of ignorance when it comes to firearms education. 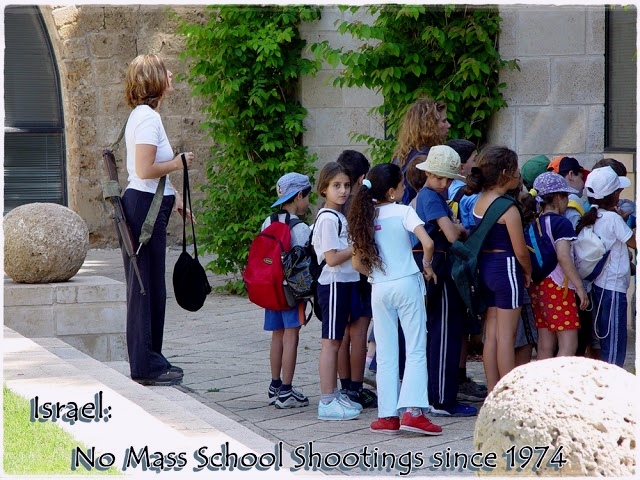 For most of the nation's history, children learned the value of guns in protecting us, securing our borders, their role in preserving peace and freedom, and their positive place in history and society. It is time to replace ignorance with education. With half of all American homes equipped with firearms, gun safety and marksmanship should be a normal natural element of a high-school education. Education or ignorance? Text books or video games? Nothing is off the table. Gun owners know that learning to safely handle firearms builds character, improves concentration, teaches eye-hand coordination and motor skills that apply to all other fields. Let our kids get away from the foolish stupidity of Hollywood-movie nonsense and learn the realities protected by the Bill of Rights, first hand. Even as an elective class, what do you think kids would pick -- pottery, poetry, or range time with a bolt-action .22 like so many of us did as kids? Ranges around the country would open their doors on a voluntary basis to welcome kids and their parents, teachers and chaperones for safety training and an educational experience second to none. How do you feel about that? 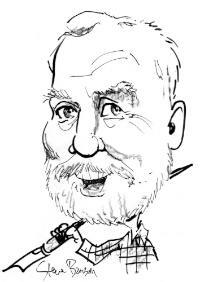 The knee-jerk revulsion the media drumbeat is pounding, or our amazing national heritage at risk of being drowned out? Colonial patriots or sneering beltway bureaucrats? What values is America to cleave to? We valued our heritage for most of our history, it's what made us great. It's time to get back to those roots. Reinvigorate our fundamental civil rights. Let the other side yell at us for this. They don't know better, so we need to show them sympathy, tolerance and compassion, for they need to learn these things too. It's our job to show them. Yes, some of this will take time, but that makes it no less worthy. Offer the choice -- education or ignorance. Give them choice. Offer to take them out for some constructive range time. To anyone who yells at you for suggesting gun safety and marksmanship as part of a high-school education, offer range time, and pick up the tab. Range owners -- introduce a program to encourage this. It's time to help. 5. PUT A STOP TO FOOLHARDY "BRAND-NAME BANS." Who is supremely unqualified to draft laws that deal with guns to make people safe? Unfortunately -- it's the people the media is promoting to introduce bills: legislators who are hoplophobic. You don't let people with aquaphobia (fear of water) design swim classes. Letting people with fear of weapons design weapon laws is borderline insanity. In its desperate grasp-at-straws approach to so-called "gun-control," anti-rights activists are planning once again to ban selected firearms by brand name or looks. This makes less sense than their olden calls for ineffective waiting periods, which they have long since abandoned. You were told, you'll recall, that if only we could make people wait five days (or a month) to get a gun, that's the answer. They didn't think it through -- these people they were so fearful of would then be armed for the rest of their lives. The media bought it, and promoted it, but it made no sense at all. Remember "crimes of passion"? You would get a gun a week late and never be passionate again in your life? It was delusional, had no effect on murderers or crime. We wasted so much time and resource on that nonsense. They've quietly dropped that canard, and the media has been complicitly silent about it. Gun lobbyists knew all along that was an illusory approach. The media has hidden the mistake under the rug. Gear bans, and name-brand bans, and "looks bans" and bullet-size bans are the new thing. And worse. "Banning guns by brand name and looks has no effect on psychopaths." The anti-rights bigots now beseech you to ban a fine sport-utility rifle like the AR by calling it a bad name, to make it against the law. That's how a child thinks. Millions of people already safely own these and legally use them constantly. People and police worldwide prefer it for its exceptional design, accuracy, reliability and looks, its flexibility and ease of maintenance, things the fearful do not understand at all. Fear-driven legislators seek its control because... because... it shoots bullets. Would they rather we use a Winchester? 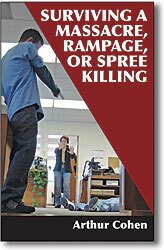 Dianne Feinstein and others are already bragging -- bragging -- they intend to introduce bans of guns by name and looks. Don't they learn? Don't they realize there are 300 million guns already in the public's hands? How will a ban on guns by name stop criminals or protect the children? It will not. The laws suggested above will. America -- the gun banners are about to squander our limited resources again. The media beating the drum for them will. But it may be too late. They've hypnotized you. You're in lockstep. You want those straws. Companies will just start making guns with new names, and new looks, just like before. It is the same worthless, feel-good, do-nothing legislation hoplophobes keep pushing, harming our safety and compromising our freedom -- and their oaths of office. 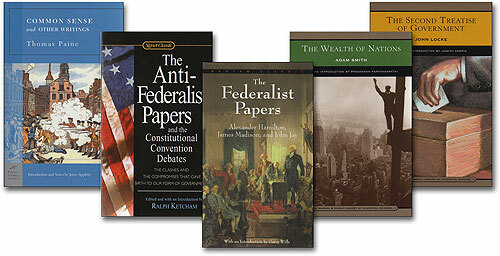 The law was a fraud, with virtually no effect on crime or important social issues. They understand nothing about the AR or any other brand they like to pick on, and that cannot be allowed to influence this critically important debate. Bans by name brand and looks simply force development of new products and do nothing to keep us safe or stop madmen. Brand-name bans deserve ridicule, loudly and publicly. "Banning guns by brand name has no effect on psychopaths." If it affects the public but has no impact on murderers it is a non-starter. Keep reminding them of this. At a time when every government expenditure is under a microscope, we can still recommend and plead for inducements to get the public, educators, and businesses to do the right thing and practice with the firearms they already own, to enhance the safety of the community. It is only reasonable. All these guns are out there. Shouldn't people be proficient, know their guns are in good working order, be able to hit their targets? Is it better to leave all these guns idle, their owners complacent in the knowledge that they can act in an emergency, but without incentive to get in some range time once in a while? Think of the economic stimulus even a tiny tax incentive could provide. With ranges crowded, people teaching each other, instructors busy, sales strong (well, the clamor for infringements has already accomplished that), the sagging economy will get a needed boost, as safety gets a needed boost too. (Actually, as we already know and the media consistently fails to report, the gun industry is a very bright spot in a moribund economy.) And late-breaking news, the media drumbeat has artificially depressed gun-stock prices, a "buy" recommendation from some analysts. On second thought, I'm basically against using taxes this way, to change behavior, it violates the basis of our governmental scheme, forget I suggested this. It's just that I anticipate proposals to use taxation against the Second Amendment, even though that should be strictly off the table, 2A doesn't allow it. Or maybe we can just take a page from the Supreme Court decision in the Obamacare case, using Congress' authority to tax. You can avoid a $5 tax penalty on your next IRS filing if you can attach proof that you went to a range or bought a firearm in the past year. It's time to help. We cannot afford to just wait for the other side to introduce and fight laws that infringe on our rights, which you know they are cooking up. We know what they have cooked up in the past -- horrible counterproductive laws that impose penalties on the law abiding and do nothing to the law breakers. 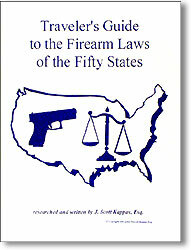 Every state legislature should have bills introduced to free its citizens with regard to gun rights. Freedom is what this is all about, do not forget that. If a bill maximizes freedom it has merit. Keep asking yourself this: Does it maximize freedom? If a proposal minimizes freedom it is wrongheaded and should be taken off the table, discredited, discarded. Empower the innocent. Expand our rights. Put guns in the hands of teachers and parents and responsible people and encourage them in the traditions of this great nation. Do not let the fear mongering, chicken-little blinders and hand wringing of the ignorant control or even direct this debate. You and your legislators -- who you need to talk to personally -- need to be up front and center, leading the way with the kind of gun laws our president wants -- only he doesn't know it, yet. But we do. It's time to help. Senate majority leader Harry Reid vowed, according to the AP, that Congress would soon, "engage in a meaningful conversation." here in Arizona, arguably the gun friendliest state in the Union. Go ahead -- fight us for that title. Don't let the media's yellow-journalism pounding get to you. Ammo stamps for the indigent? They have to practice too, you know. but I know you do. A little levity is good for the soul. The media keeps telling me they want me to provide balance, the other side of the story. They think the two sides are: we should take guns away, no we shouldn't take guns away. and guns are used constantly to do good things. side of the story even exists. like protect us and the children we love so dearly.